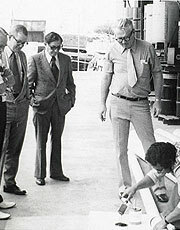 Weld-On offers comprehensive technical assistance to our valued customers. 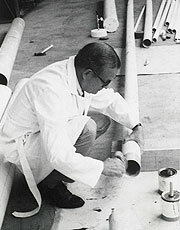 Our technical hotline is staffed by the Weld-On Technical Support Team to help answer any questions about our products and techniques for solvent welding plastic pipe and fittings specific to your projects. 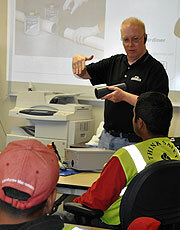 Weld-On also provides free pipe joint installation seminars. 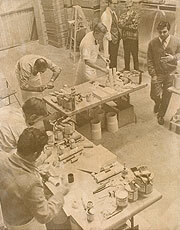 For over 60 years, Weld-On has trained more than 100,000 contractors in the proper solvent welding techniques. 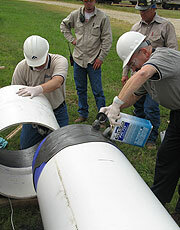 Proper solvent welding of plastic pipe and fittings is the key to a long, trouble-free service life for your piping system. Weld-On’s training program is free and covers the best practices of solvent welding technique based on ASTM D2855 standard. Weld-On is the only company to provide ASME B31.3 bonder qualification, inclusive of sample testing and card issuance. Our professional technical service team personnel are members of the American Welding Society, Plastic Pipe and Fittings Association, ASTM International, ASME and Irrigation Association. 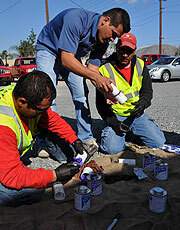 Just call our hotline or fill out the Contact Us form to learn more or request a training session.